You will find Fisherman's Restaurant nestled in the centre of the seaside village of Kommetjie after what can only be described as one of the most scenic drives in SA. 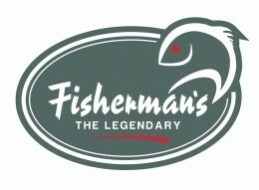 Fisherman's serves up a friendly and relaxed atmosphere with various seating options. Take a seat at one of the many large tables outside in the sun or cool off under the shade of the ancient Milkwood trees. This outside area includes a jungle gym and sand pit for the kids. Inside the restaurant has a lovely fireplace has the interior has been painted to depict the inside of a typical Cape fishing cottage. The relaxed family pub area is fitted with TVs so you will not miss and sporting events. This is a favoured meeting place for towns locals. Fisherman's Restaurant offers cuisine for all tastes including but not limited to seafood, wood-fired pizzas, burgers, steak, delicious ribs, chicken, salads, pasta and a kiddies menu. We are most famous known for our fresh fish, seafood and pizzas. Our pub is stocked with Windhoek, Castle, Hansa, Stella, Paulaner, Amstel and Castle Lite on tap plus a wide range of local and imported beers. Many specials and discounts can be found in the off -season discounts and new menu items on trial. Enjoy live music? then make sure to visit on Saturday and Sunday afternoons, public holidays and special events. We host many fun events such as quiz evenings, monthly parties, sushi nights, wine, beer and whiskey tastings and many more throughout the year. topped with a variety of tasty sauces - Burgers are served with a portion of freshly made potato chips. a gathering of the finest selection of Seafood, including Muscles, Line Fish, Calamari, Prawns and a Full Crayfish. Combo Platters served with side sauces, rice, chips and salad. Fisherman's receives Fresh Fish Daily straight off the boats and our seafood platters are prepared by our seafood specialist Mozambican chef.